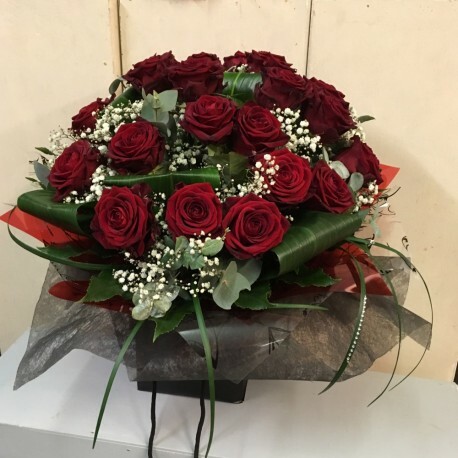 A beautiful handtied bouquet of 24 luxury Red Naomi roses with gypsophilia and a selection of stunning foliage adorned with diamonte. The bouquet will be aqua packed and presented in a gift bag. Red Naomi the lamborghini of red roses ! Flowerscene are delighted to present this handtied bouquet for flower delivery in Aberdeen and the surrounding areas.